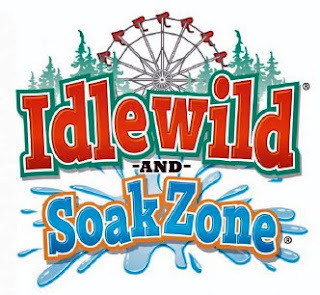 Situated near Ligonier, Pennsylvania, Idlewild and Soak Zone was founded in 1878 by Thomas Mellon, as a campground along the Ligonier Valley Railroad. 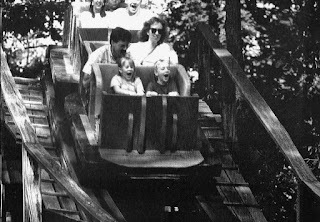 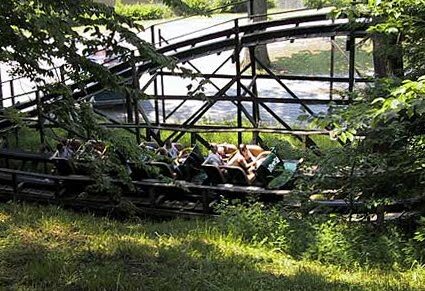 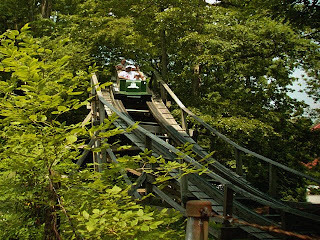 Idlewild is the oldest operating amusement park in Pennsylvania, third oldest in the United States, and twelfth oldest in the world. 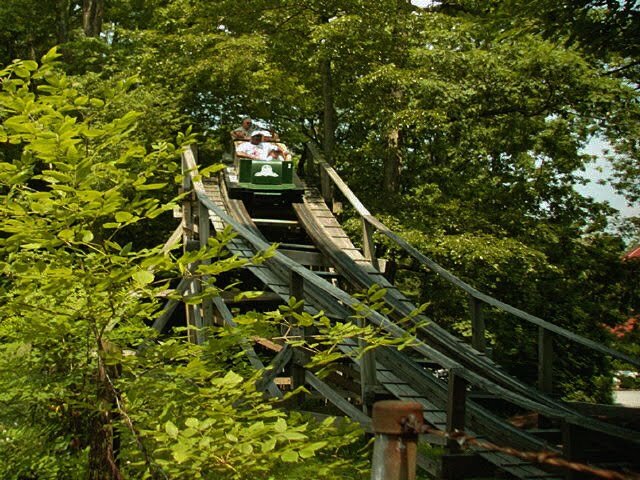 A formal proposal was drawn up on Dec 8th, at a cost of $3,600 and that proposal was approved at a directors meeting on 12/22/37. 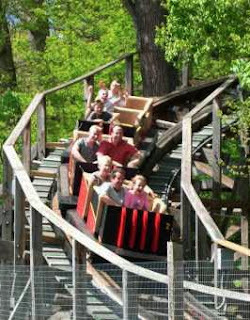 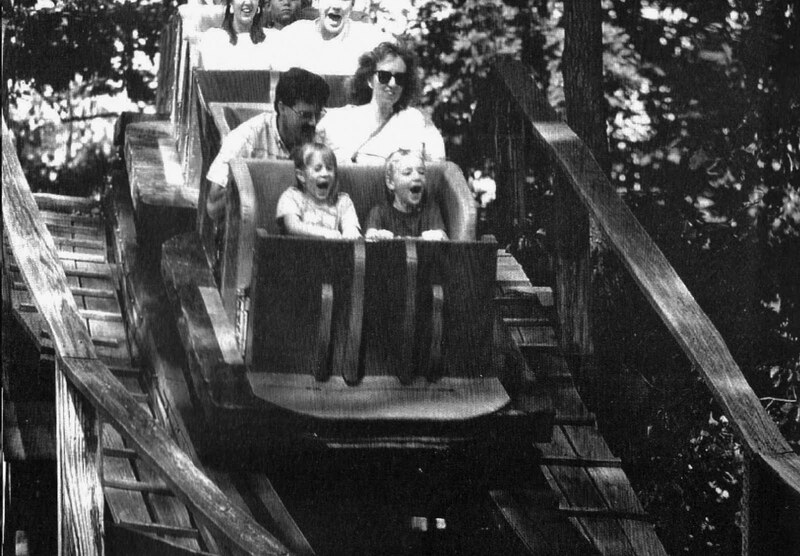 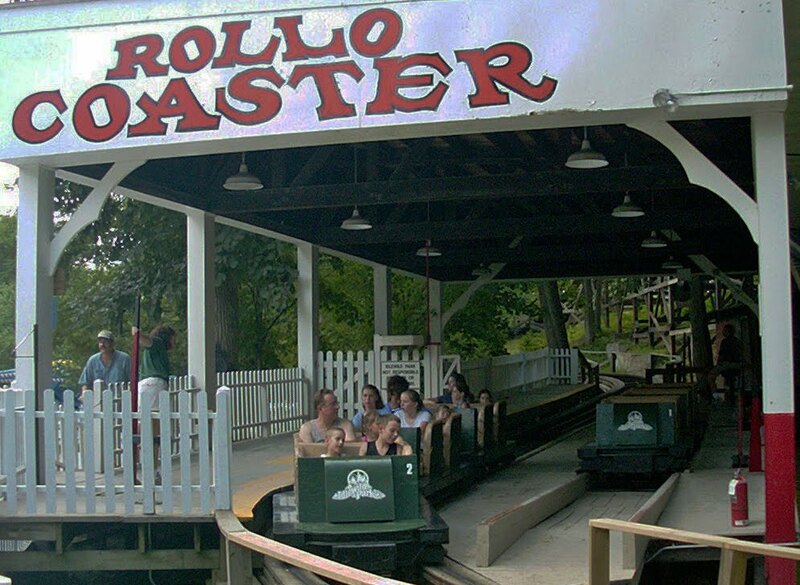 Designed by Herbert Schmeck, the 908 foot long Rollo Coaster was built with wood cut on park property, using a sawmill built nearby specifically for the project. 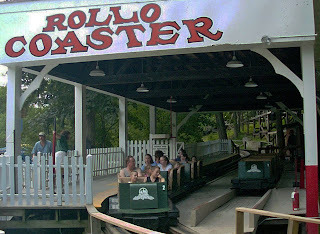 Located in the Old Idlewood section of the park, on the parking lot side of the Merry-Go-Round, Rollo Coaster's design takes full advantage of the terrain, allowing the hills of the coaster to get bigger after the 1st drop.